Intelenet Walkin Recruitment 2017 | Customer Service Process Jobs | 27th June 2017. Intelenet is conducting Walkin Recruitment for Voice process Inbound & Outbound Domestic Process Jobs. Applicants who had completed graduation can eligible to attend for the Intelenet Jobs in Delhi and latest openings in Gurgaon. Intelenet has stated that candidates should have minimum 6 months of Experience in Customer Service field. Excellent Communication skills with good in typing would be an added advantage for the job seekers. Qualified and eligible applicants must prepare Intelenet Online Test Papers and Intelenet Model Papers because nowadays competition is very heavy for BPO Jobs. Preparing according to the Intelenet Interview questions it helps to perform well in the Intelenet Careers 2017. Following the planner in their own style with the help of Intelenet Mock Test Papers, it boosts up the confidence of the Applicant. Candidates who are going to build their bright future they can apply for these vacancies. So candidates keep it mind and practice hard to crack the test in Intelenet. Candidates can also check other IT Jobs on our site www.allindiajobs.in for more updated and fresh Official Information. Multiple opportunities for Fresher and Experienced candidates for Voice, Blended-Inbound & Outbound Domestic Process for Day Shift. Company Provides Both side transport facility. Intelenet Global Services is a third-party Business Process Outsourcing (BPO) & contact center provider firm headquartered in Taguig, Metro Manila, Philippines and Mumbai, India, backed by Blackstone Group. The company offers 24/7 services for contact center, transaction processing, finance & accounting and human resource outsourcing services to Fortune 500 companies in the UK, US, Australia, and India. Backed by The Blackstone Group, a leading Global Private Equity player, with a current portfolio of clients that include Fortune 500 companies, this is a 55,000 people organization spread across 66 global delivery centers across USA, UK, India, Poland, and Philippines; supporting 100+ clients in over 50 languages. The firm is headed by the CEO Bhupender Singh and Susir Kumar serves as the Executive Chairman. Aspirants who are going to appear for Intelenet Walkin Drive can check the mandatory details like Walkin Date, Time and Venue which are provided in this article. We hope this page will give the sufficient information to the job hunters. 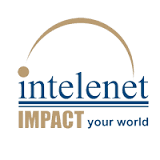 To know more information regarding Intelenet Recruitments keep on checking Freshers Jobs for fresh updates. Note: Kindly mention Sakshi Sharma in the resume without fail. I want to apply for Digital marketing profile in Intelenet Global Services. If there is any vacancy then revert me back to my email id.